“Our organization has a long history of supporting various health related initiatives throughout Clark County,” saidMichelle Volker, who is Co-Chairing the event with Ginger Allen. “We’re honored to continue this tradition by helping to bridge autism awareness/needs with our local medical community and raise funds to help transition families with autism to adulthood. 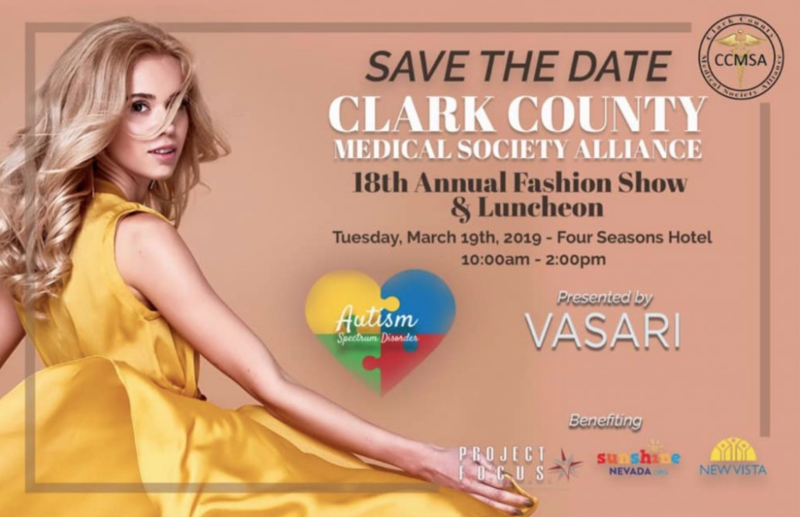 Tickets for CCMSA Spring Fashion Show are $225 and can be purchased at https://CCMSA19.givesmart.com For more information, please visit www.ccmsa-lv.org.